First of all, the historical information given in this book is fascinating and told in a way that makes you always want for more to be said on the subject. (I usually skip these parts in other books). There are things about the Virgin Queen's court and the queen herself that are not generally known and are fascinating to discover even when they are outrageous and unbelievably sad. Now this book is about a romance between a married couple.I believe and have found in the past that this is a kind of romance that is deeper and more difficult to handle for the author than the kind that leads to the altar. That is why I was so amazed by this book. The romance satisfied me and more. The heroine of the book is trying to do her best to keep her husband satisfied and successful at court, even if the effort literally kills her. Things change, however, when her husband starts to fall in love with her and she with him. I loved the romance between the two characters, it was so tender and so real and of course the fact that they were married made it even more romantic. Especially the scene where they are flirting with the help of the language of food..... I have never read about a couple quite like them. 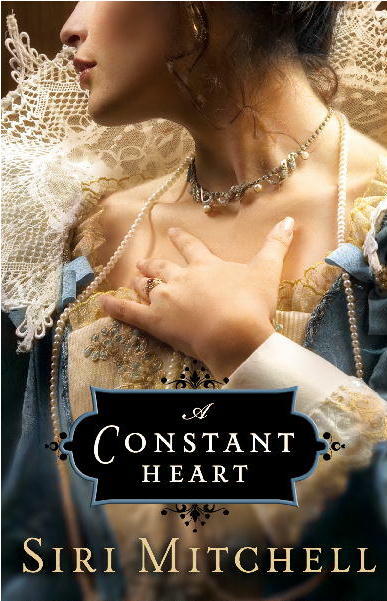 I recommend this book very highly as a christian book, as a historical novel and as a beautiful romance and I have become a great fan of the author, Mrs. Siri Mitchell. I read this one earlier in the year, and I really loved it! I'm currently reading another book by Siri Mitchell called She Walks in Beauty!